A short, concise book on the psych of both writers and their characters. Sort of useful if you are an author. I'd never heard of Robert W. Walker before, and after reading this, I shouldn't be surprised if I never do again.This essay on the psychology of writers and their characters is written to mimicking a Q&A session between the author and some unknown interviewer. Instead, it reads like a dissertation! Not to throw the baby out with the bath water, it contains some sound advice for writers crafting characters, but its so difficult to follow that I fear that advice will be completely missed.The author also takes every opportunity to advertise his novels, but if they're written in the same way as this essay, I don't ever want to read them! A useful and pragmatic 10 question interview with the author.It delves into the psychology of writers and their characters and what needs to be expressed and balanced in writing. 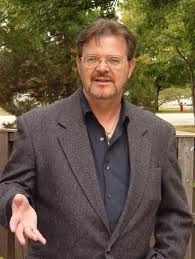 Robert W. Walker - Aka Geoffrey Caine, Glenn Hale, Evan Kingsbury, Stephen RobertsonMaster of suspense and bone-chilling terror, Robert W. Walker, BS and MS in English Education, Northwestern University, has penned 44 novels and has taught language and writing for over 25 years. Showing no signs of slowing down, he is currently juggling not one but three new series ideas, and has completed a film script and a TV treatment. Having grown up in Chicago and having been born in the shadow of the Shiloh battlefield, near Corinth, Mississippi, Walker has two writing traditions to uphold--the Windy City one and the Southern one--all of which makes him uniquely suited to write City for Ransom and its sequels, Shadows in White City and City of the Absent. His Dead On will be published in July 2009. Walker is currently working on a new romantic-suspense-historical-mainstream novel, titled Children of Salem. In 2003 and 2004 Walker saw an unprecedented seven novels released on the "unsuspecting public," as he puts it. Final Edge, Grave Instinct, and Absolute Instinct were published in 2004. City of the Absent debuted in 2008 from Avon. Walker lives in Charleston, West Virginia.